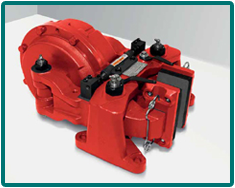 SERVICE BRAKES (SB) – Installed at the high-speed gear input shaft to hold the load safely. Brakes for use in high duty cycle applications are to be specifically indicated prior to the technical selection procedure. 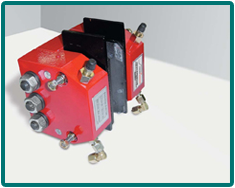 The high capacity of BSC Series brakes makes them particularly suitable as service or secondary emergency brakes, e.g. on hoists, slewing drives and belt conveyors. Other applications are in material handling, mechanical engineering and wind turbine industry, where high holding forces are required independent of the direction of rotation within limited space. Applications: Stopping and/or holding of fans, blowers, wind turbines, coilers, crane slewing and travel gears, etc. 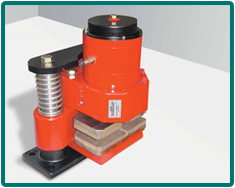 Applications: The service brake KFB are mainly used on internally and externally cooled motors of traveling, trolley and hoisting gear in crane installations. Applications:Predominant in static uses at shipbuilding industry as holding- or safety- brake and in industrial applications with requirements of small dimensions at heavy duty applications. RWB 7 Series– Spring applied wheel brake. Braking force ±56 kN. 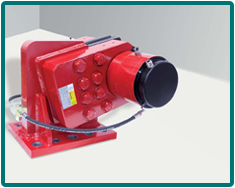 Applications: Used as a storm brake on all rail mounted equipment, such as cranes, stackers, reclaimers, etc. Direct holding of idle wheels. 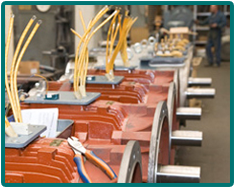 Particularly where a rail clamp or a rail brake cannot be used. Applications: Container cranes, ship winches, automatic racking systems, conveyor belts, general electrical drives. 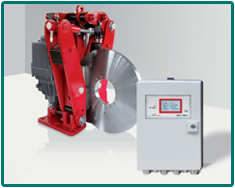 Pintsch Bubenzer monitoring systems guarantee the 100% availability of the equipment and minimize maintenance expenses. Computer monitored brake system for the permanent information on thruster stroke, brake torque / contact force, lining temperature, lining wear and brake disc speed. In response to requirements to simplify the maintenance of industrial brakes and at the same time to increase their operational safety, PINTSCH BUBENZER offers a retrofitable, compact electronic status indication system to be integrated into the brake as an additional safety device. 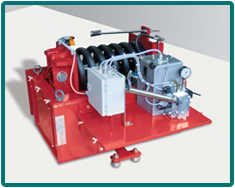 Buffers are hydraulic units with damping properties adaptable to a wide range of operating conditions. Applications: As impact energy absorber on crane gantries, trolleys, stackers, reclaimers and other industrial applications. 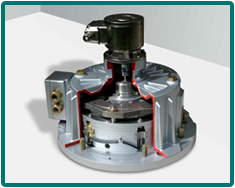 Applications: Retrofittable on all PINTSCH BUBENZER hubs and couplings. Also one of the core components for the PB SOS system. 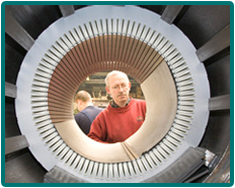 The brake discs of these flexible couplings can be changed without moving the motor. 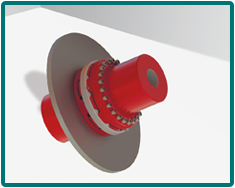 The brake discs of these gear couplings can be changed without moving the motor. Hubs with a flanged brake disc (N), hubs with a brake disc (not flanged, type NX). Applications: These couplings are for use in machinery subjected to high dynamic load. 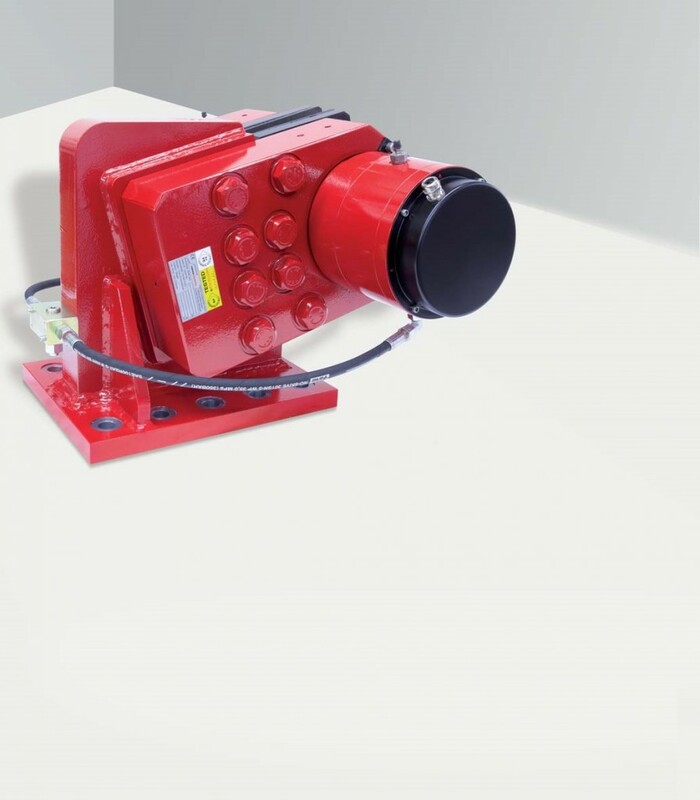 Applications: SOS snag overload system – first non-hydraulic snag protection for container cranes. It eliminates the danger of structural damage starting at the motor, which is beside the brake disc the major source of snag inertia load. 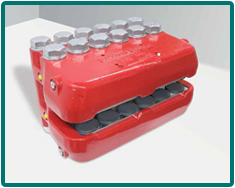 In a snag overload case the Malmedie Safety Coupling (MSC) separates the motor drives and their high mass inertia from the gearbox instantly. 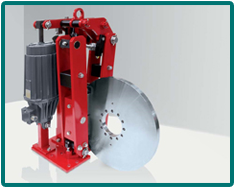 PINTSCH BUBENZER safety brakes (SF) immediately catch the load and avoid a loss of rope. LiTec® operating brake discs reduce the inertia additionally.